Step 1 Heat the oven to 375 degrees. In a large mixing bowl, whisk together the flour, baking powder, salt and sugar. Cut in the butter until the mixture is crumbly. Stir in the buttermilk just until incorporated; the dough will be crumbly and look dry. Knead in the bowl a few times to bring the dough together into a single mass. Step 2 Turn the dough out onto a lightly floured work surface and press into a circle roughly 7 inches in diameter and 1 inch thick. Cut the dough into 8 wedges, and place the wedges on a parchment-lined baking sheet. Step 3Brush the wedges with the cream and sprinkle over the turbinado sugar. Bake on the center rack until golden, about 25 to 30 minutes. Remove the scones to a rack to cool slightly. Serve warm or at room temperature. In Recipes-list.com we have selected the most viewed recipes from category - Breads Breakfasts . Enjoy the best recipes specially selected for you! 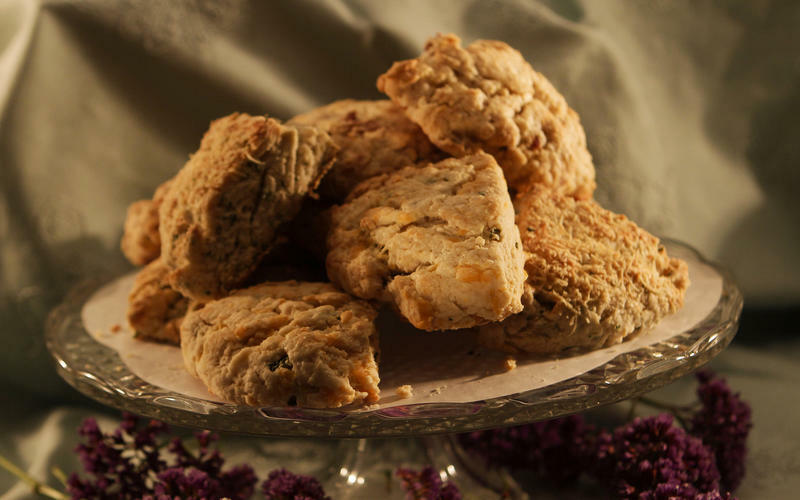 Basic scones is the right choice that will satisfy all your claims.